Are you an OT, COTA, PT, PTA, Speech Therapist, Parent, Educator or Other? 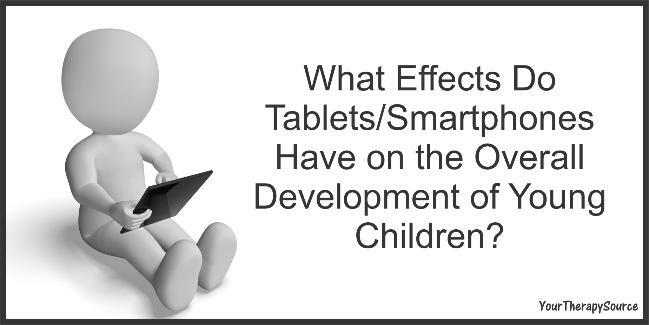 In your professional opinion, do you think tablet or smartphone use by young children (0-5 years old) delays social development? In your professional opinion, do you think tablet or smartphone use by young children (0-5 years old) delays language development? In your professional opinion, do you think tablet or smartphone useby young children (0-5 years old) delays fine motor development? In your professional opinion, do you think tablet or smartphone use by young children (0-5 years old) delays gross motor development? In your professional opinion, do you think tablet or smartphone use by young children (0-5 years old) creates behavior problems?